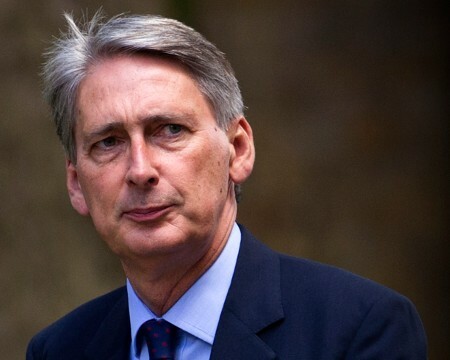 The British Gazette » Philip Hammond: Can’t this man do anything right? Being Chancellor of the Exchequer is a demanding job. It involves many difficult decisions. Some decisions however are easier than others. One decision that the Unfortunate Hammond’s predecessor, the Unfortunate Osborne that was right was to halt the “Sid sale” of the taxpayer’s stake in Lloyds Bank. The Unfortunate Osborne did not however go the extra mile that the Unfortunate Hammond has; abandon the “Sid sale” entirely. Unfortunately – for the hard pressed UK taxpayer – Mr Hammond has not chosen the most profitable way to sell off the 9.1% stake in Lloyds. The Unfortunate Tax Payer (You, Dear Reader) will loose out as the Unfortunate Hammond has stupidly decided that the government will begin to sell its 9.1% stake in Lloyds via a trading plan over the next twelve months! Any sentient creature with at least two functioning brain cells will of course realise that this is precisely the wrong way to get a good price for the stock! Good that is for you, Dear Tax Payer! It will of course be VERY GOOD for the purchaser of the stock! It therefore falls to this organ to tell the Unfortunate Hammond – and it seems Mr Leigh-Pemberton of UK Financial Investments Ltd – things that both unfortunates should already know! THIS: That when one holds a 9.1 stake in a leading FTSE 100 company with good long term prospects the way to get the best price – and by this we mean the highest price – is to sell the stock as a single parcel to give the purchaser a 9.1% stake in the company. Now, with such being around £3.6 billion, the Reader will understand that the numbers of persons and entities with this amount of ready cash are few and far between! They do exist however! One group of such entities are the Sovereign Wealth Funds. These have been set up by numerous states to hold wealth for the long term benefit of their citizens. Ever helpful, we list the ten largest such funds below and suggest that the Unfortunate Hammond or Mr Leigh-Pemberton should write to them, as they are likely to be most interested. Now, although the Unfortunate Hammond or Mr Leigh-Pemberton should know this, we will explain why. Hopefully Dear Reader you will forgive us to telling you something you already know! When BUYING a really large amount of stock – the actual amount of course varies in relation to the number of shares a public quoted company has and is being traded – the reverse of discount for quantity applies. This is because the market maker finds it easy to trade say 10,000 LLOY shares but 100,000 is less easy and the price is a little higher. Conversely; When SELLING a really large amount of stock – the actual amount of course varies in relation to the number of shares a public quoted company has and is being traded – a discount for quantity applies. This is because the market maker finds it harder to trade say 100,000 LLOY shares whereas 10,000 would be easy and the price therefore is a little lower. If however you are in the fortunate position of the British Taxpayer and own 9.1% of LLOY the prospect of owning this chuck appeals to a Sovereign Wealth Fund as he or she will be able to negotiate a price that is above the market price but substantially below the price they would pay were they to enter the market on a spending spree to buy the stock! What the Unfortunate Hammond HAS done is to make it fairly certain that Lloyds stock will be around it’s present levels for the next year as the market makers know that there will be an increased and steady supply of stock entering the market! 1. Norway’s Government Pension Fund Global; US $882 billion. 2. The Abu Dhabi Investment Authority (ADIA); US $773 billion. 3. SAMA Foreign Holdings (Saudi Arabia); US $757.2 billion. 4. The China Investment Corporation (CIC); US $746.7 billion. 5. The Kuwait Investment Authority; US $592 billion. 6. The SAFE Investment Company (Hong Kong); US $547 billion. 7. The Hong Kong Exchange Fund; US $400.2 billion. 8. The Government of Singapore Investment Corporation; US $344 billion. 9. The Qatar Investment Authority; US $256 billion. 10. The National Social Security Fund (China); US $236 billion. 1. The possibility of what is known as a Hard Brexit. Because this would be disastrous for the entire UK economy, it is unlikely. This is one thing we can be fairly confident about. Much of the hot air emanating from the Tory conference was feeding the blue porridge to the unthinking activists. The British Gazette is however fairly confident that thinking Tories will know that crashing the UK economy will ensure their defeat and victory to Comrade Corbyn. 2. The PPI problem. This it seems is not going to end until 2019 – a year later than Senhor Horta-Osório had hoped. 3. The government shareholding. Whilst the 9.1% is still in the hands of the UK government the market will not see these shares fly. Market expectation: When in the second half of 2017 – or around 6 months after invoking Article 50 – it becomes apparent that the UK will remain in the Single Market the LLOYS shares will begin finally to climb. It will only be after the PPI problem is history that Lloyds will be able to rack up the dividend payout. This will ensure an eventual increase in the share price. Declaration of Interest: The Editor has a beneficial ownership of Lloyds Bank shares.